North Coast Growers is a Tier 2 licensed cannabis producer/processor in Washington state with 22 employees. State law allows Tier 2 producer/processors to dedicate between 2,000 sq. feet and 10,000 sq. 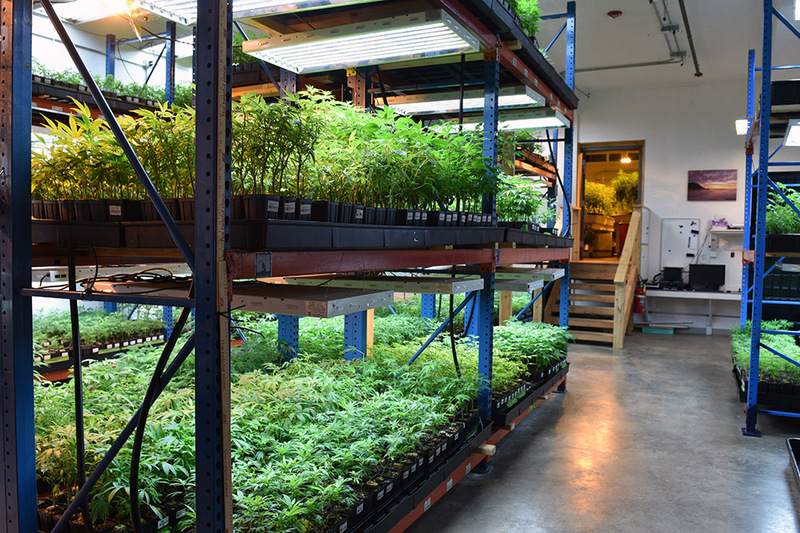 feet to plant canopy — and we recently got a tour of their grow facility to take some pictures and learn about the history and goals of North Coast Growers. 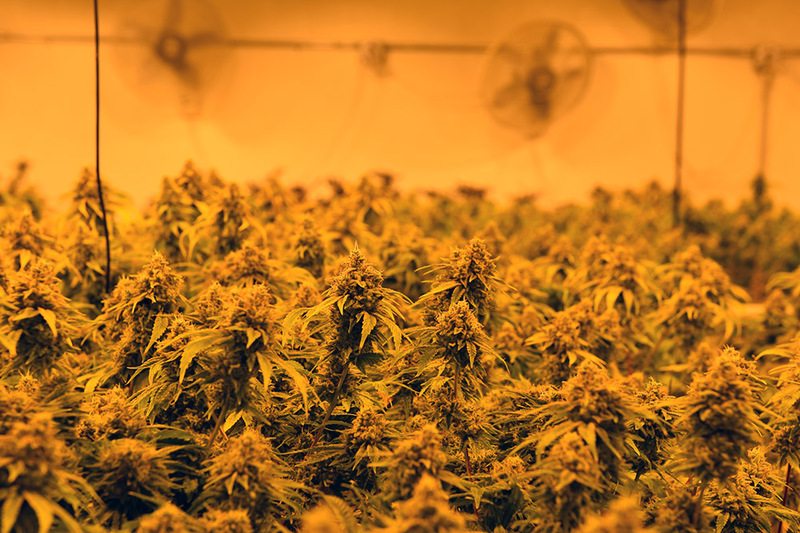 Their operation in Anacortes, Washington focuses on flower production, but the company’s start began with selling clones. North Coast Growers takes pride in cultivating their own flower genetics while also distributing flower and pre-rolls on the adult use market. A close look at the North Coast Growers’ clone selection. This year has been big for NCG since finding huge success in the flower section of the 2017 Washington Dope Cup Awards. 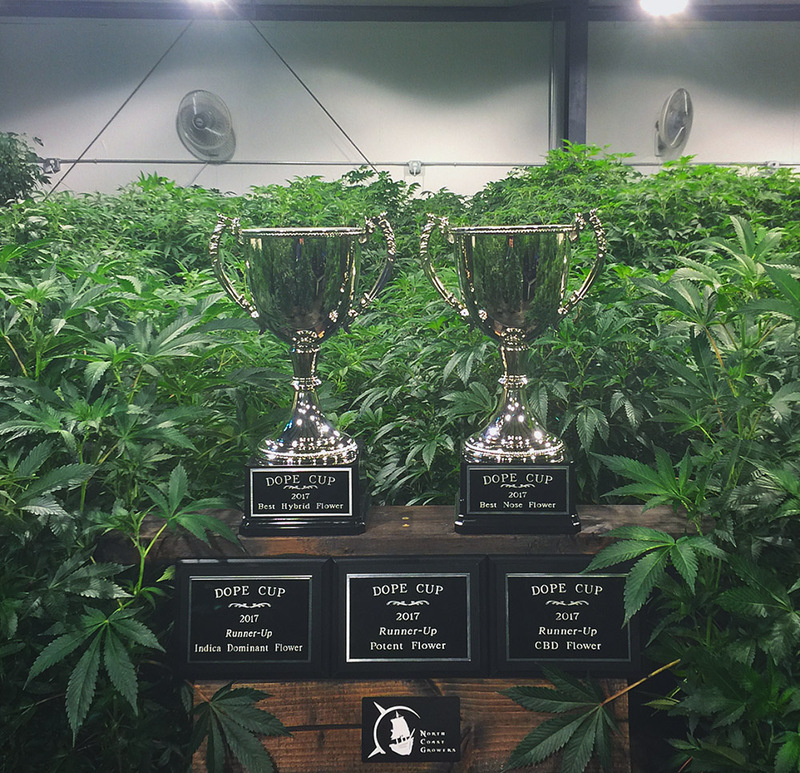 NCG came home with two Dope Cup Awards: “Best Nose” for Fruity Pebbles and “Best Hybrid Flower” for Gorilla Glue #4. They also were named runner-up for “Most Potent Flower” with Gorilla Glue #4, “Best CDB Flower” with Sour Tsunami, and “Best Indica Dominant Flower” with Strawberry Banana; in fact, North Coast Growers placed or won in all but one category. North Coast Growers began their journey in the cannabis industry for a few different reasons — but everyone involved brought a genuine love for growing superior cannabis. Matt Sampson, owner and CEO of NCG, decided to ditch his suit-and-tie job working for an investment bank in Palo Alto, California in 2005 in order to follow the Green Rush to Washington. 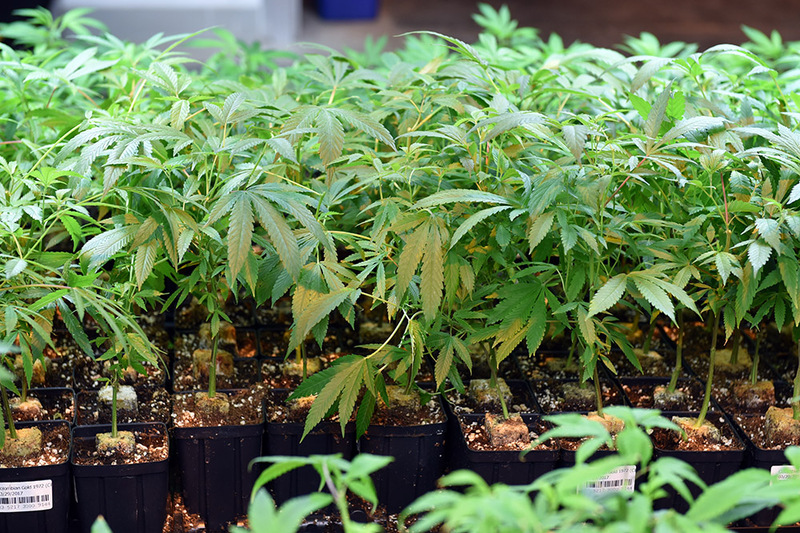 It started with two licenses — one for the grow store and one selling clones. 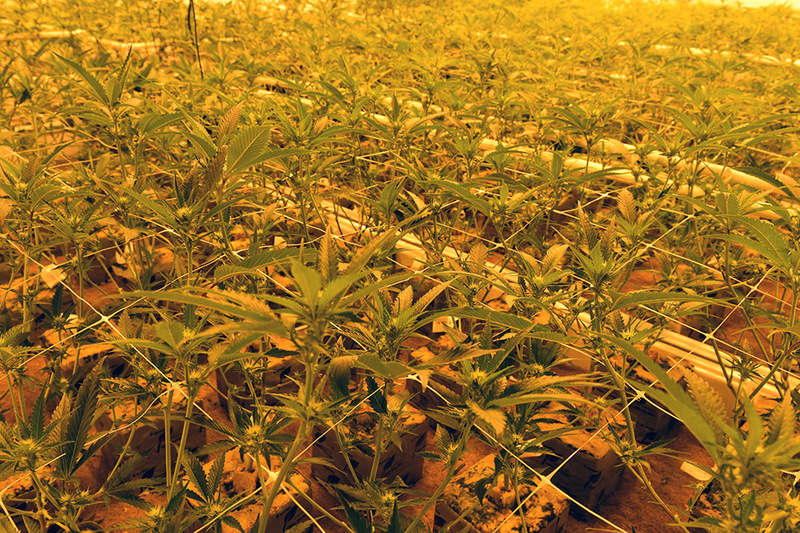 An insider’s look at the North Coast Growers’ clone room. Now, they have shifted their focus. Although they still are very proud of the quality and variety of clones they produce, they are focusing on the flower side of the business. Right now, they sell flower, pre-rolls, and rosin to about 15 stores in Washington. Their approach is to find success in the markets that they can, rather than trying to sell to as many stores as possible. 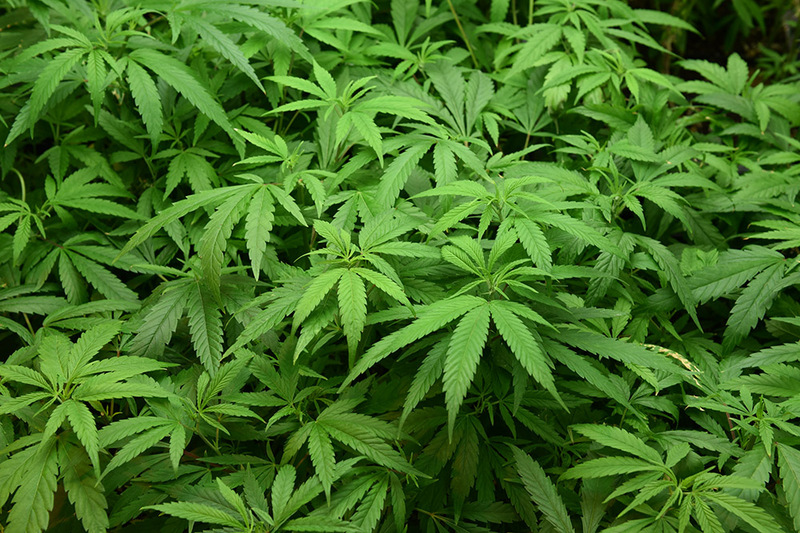 The company provides clones, flower, and pre-rolls for participants in the Washington I-502 marketplace. Sampson doesn’t compare NCG to companies with large, million-dollar budgets that have spread throughout 100+ stores — he wants their company to feel more personal than that. Their focus is based around providing a positive experience from label to the flower, and letting their product do the convincing. The killer, iconic labels that set NCG apart on crowded dispensary shelves are designed by Slow Loris Studios, while their screen printing style captures fun, visual spinoffs of strain names. 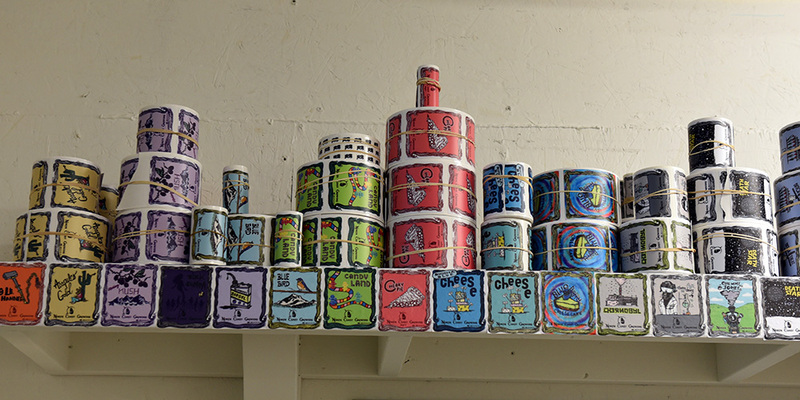 Rolls upon rolls of North Coast Growers product labels on a shelf inside the grow site. From clones to the yellow-lit grow room in the back, NCG dedicates a lot of time and patience to producing top-quality cannabis. Although the attitude at NCG is extremely positive towards the ever-changing cannabis industry, they have had to overcome some hardships during their journey. Their first concern is always trying to find good people to employ that bring a positive outlook and energy to the industry. Their team now is stacked with individuals they are proud of, but it’s a fact that managing and maintaining staff can be a struggle when focusing on a garden. “I feel very lucky that we’re surrounded with good and positive people,” said Sampson. 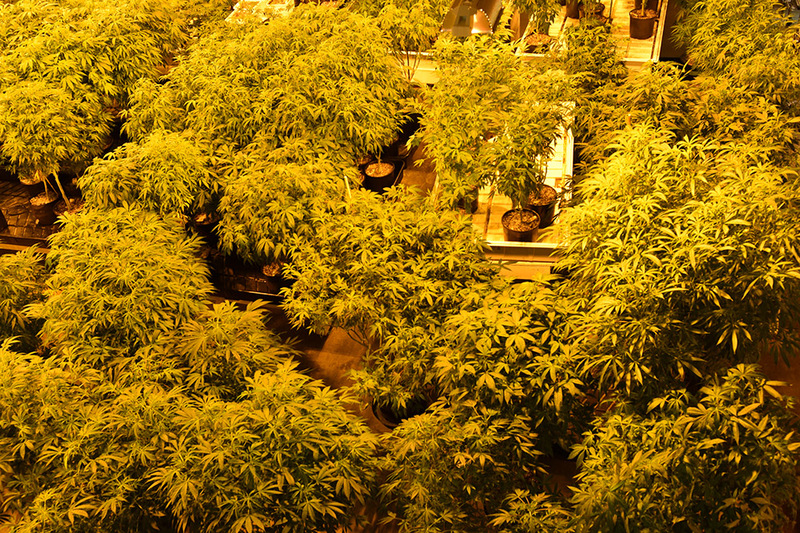 Looking down from above the cannabis canopy in the North Coast Growers grow site in Anacortes, Washington. Additionally, with the rules and regulations constantly changing in the cannabis industry, they have had to shift their business model a few times. Shifts in policies regulated by the Washington State Liquor and Cannabis Control Board could happen at any point, which has been the source of many issues for NCG — especially when they are left with minimal time to comply and make the necessary structural changes to their business. A closer look at the vibrant green plants produced by North Coast Growers, a premium cannabis producer licensed under Washington state’s I-502 adult-use cannabis regulations. 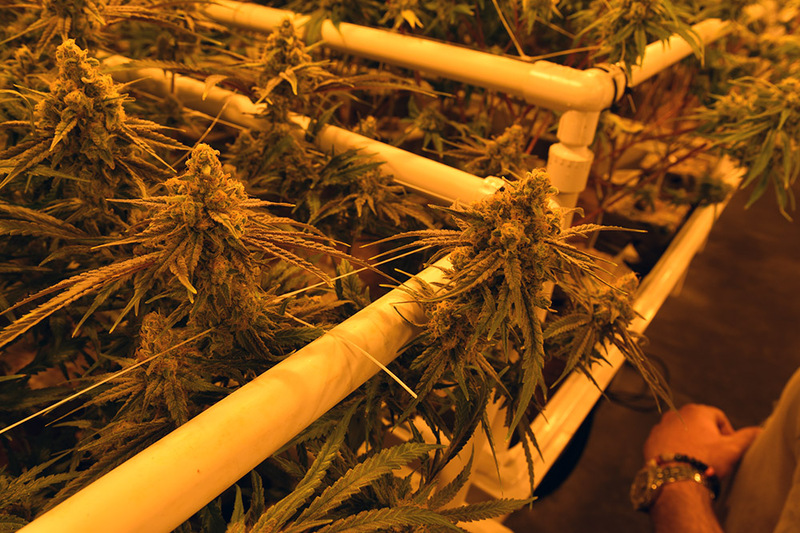 Nearly mature cannabis plants reaching for the ceiling in NCG’s indoor grow site. Their next project is exciting (and I personally can’t wait). The company plans to release a killer collaboration sometime in June with the local Skagit County brewery Farmstrong Brewing. As part of the collaboration, North Coast Growers will be releasing a Farmstrong strain and Farmstrong will be working on a brew named after the garden. 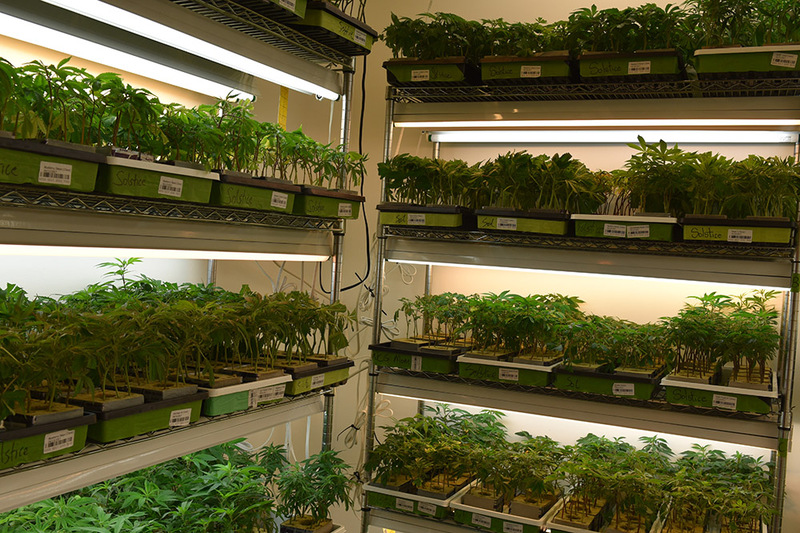 A canopy of relatively young cannabis plants in the North Coast Growers indoor cultivation site. 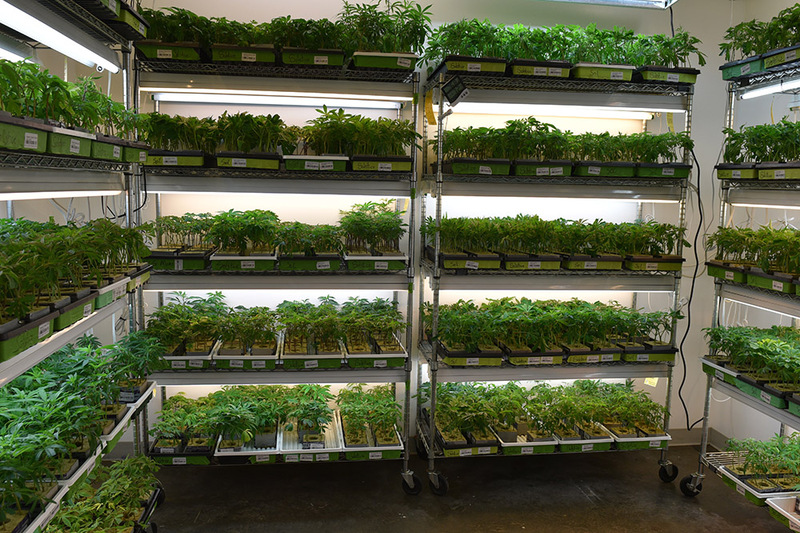 A closer look at some of the products being grown in NCG’s cultivation facility in Anacortes, Washington. Located in Bellingham, Washington, Sarah Climaco is a dedicated public relation professional specializing in digital marketing. With a degree in public relations and a focus on visual journalism, Sarah is dedicated to working professionally in the cannabis industry. She originally turned to cannabis as a medical alternative to opioids to help manage her autoimmune disorder.